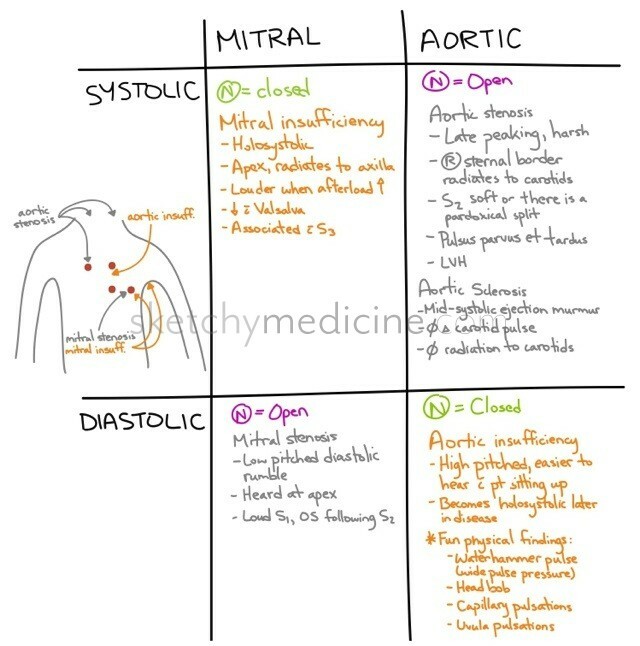 The differences between mitral insufficiency (regurgitation) and stenosis and aortic insufficiency and stenosis. It’s important to know where to listen for them and what sort of other findings they go along with. Really aortic insufficiency is the one with all the wonderful findings that all all named after different people. 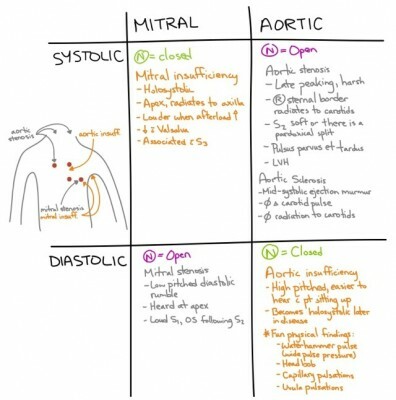 This entry was posted in Cardio and tagged Murmurs, physical exam by Ali. Bookmark the permalink.